It’s summer’s final hurrah – so let’s make it count! Here are a few of the hippest happenings across Cornwall this Bank Holiday weekend. The Asylum is back in a new site at The Lost Gardens of Heligan with three shows set to delight you! This year it’s all about breaking the rules in Kneehigh style, for a season of world-class theatre and epic live music. Would you cheer as daft dictators are overthrown and you hear a vast karaoke choir (you!) sing together in perfect protest? Then don’t miss UBU Karaoke! Have you ever wanted to witness lovesick amphibians hop to the beat? 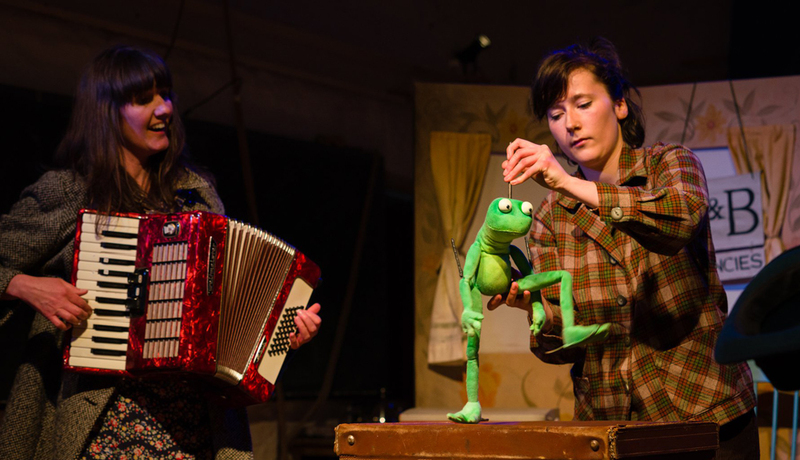 Look no further than our adaptation of Quentin Blake’s The Dancing Frog. And stay tuned for Fup – Kneehigh’s adaption of the Jim Dodge novel – coming in September. The birds of the world have gathered; join the flock on an epic quest to find the legendary Simorgh bird. A feather fuelled, technically immersive family-friendly journey into Persian poetry… prepare to elect your new king! This summer Trebah Garden and Gaggle Haus present the epic Persian tale SCRAWW, told via an immersive soundtrack created by international sound designer and composer Max Pappenheim. Audiences will don ‘silent disco style’ headphones, join a flock and put on their feathers as they get led through the garden, experiencing live performance blended with Max’s score. Recommended for ages 6+. 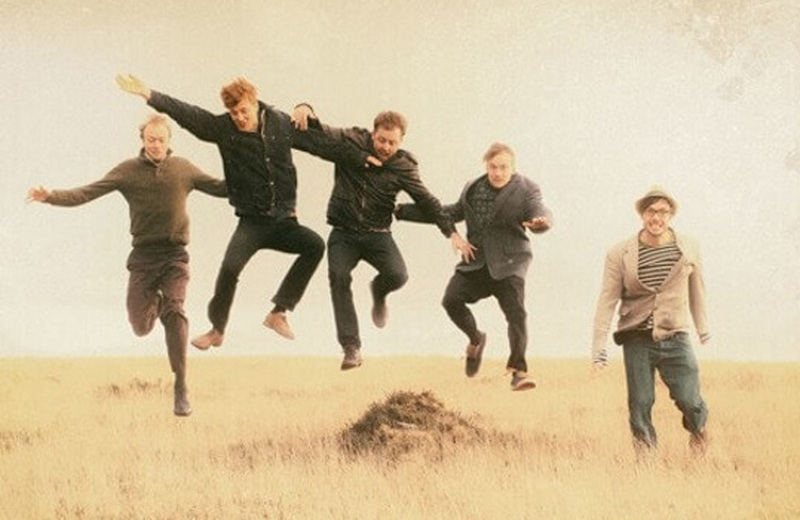 The bank holiday weekend is all about folk music in Wadebridge, with four nights and three days of concerts, sessions, folk clubs, dancing, workshops, craft fairs and children’s events in the beautiful market town. This year’s line-up includes local and international stars including Eddi Reader, Kathryn Roberts and Sean Lakeman, Katriona Gilmore and Flats & Sharps. The original and greatest literary detective of them all, Sherlock Holmes, and his assistant Doctor Watson, tackle the most baffling case of their careers in Illyria’s open air performance of The Hound of the Baskervilles. An ancient curse hangs over the Baskerville family of Dartmoor: all are said to die a brutal death, the victim of a gigantic ghostly hound. The case is brought to the attention of Sherlock Holmes. But of what use is the detective’s scientific reasoning when confronted with a purely supernatural case? Lusty Glaze’s annual family friendly bank holiday rugby festival returns. There is a one-day event on the Friday and a two-day event over Saturday and Sunday. Friday’s competition has group stages followed by knockout stages and a gripping final. For the two-day competition teams have games on both Saturday and Sunday. The results from Saturday determine which level of competition teams play in on Sunday. Games are played through the day progressing to knockout stages and floodlit finals on Sunday evening, there will then be live music and Fireworks after the trophy presentation. The beach is open for spectators and friends to enjoy the spectacle with food and drink available. SkyBar is an exciting pop-up bar event appearing at various stunning locations around the South West. Inviting guests to enjoy the exclusive aprés sea atmosphere, SkyBar hosts sell-out club nights with great music, street food and themed bars. Popping up in two gorgeous Cornish spots this August. Choose from the very best local seafood, exclusively caught by day boat fishermen from the harbours of Looe and Newlyn, perfectly partnered with a glass of chilled Champagne Pommery Brut Royal Champagne at The Idle Rocks, overlooking St Mawes harbour. Now in its eleventh year, Cornwall Pride is a celebration of diversity in Cornwall. 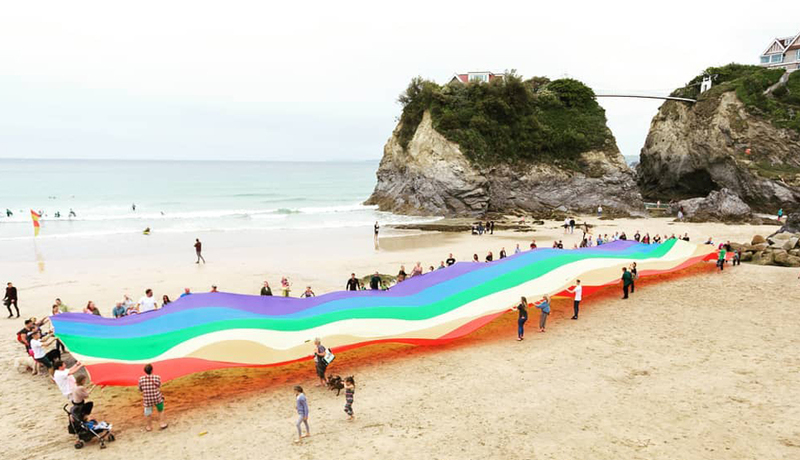 This traditional Pride event includes a colourful and vibrant parade from Towan Beach, Rainbow Fest with an afternoon of live music at Newquay’s Killacourt and a ticketed evening ‘Moonbow’ party. The Swim Festival is a mass-participation open water sea swimming event and a great chance to try a swim of a particular distance 1-3km. Alternatively, if you’re feeling particularly fit, strong and ready for an extra challenge you could swim two or even all three distances. Heartbreak Productions’ outdoor adaptation of The Railway Children, a classic children’s tale by Edith Nesbit. Attention passengers! We are sorry to announce that all services out of Gigglesworth Station are delayed. 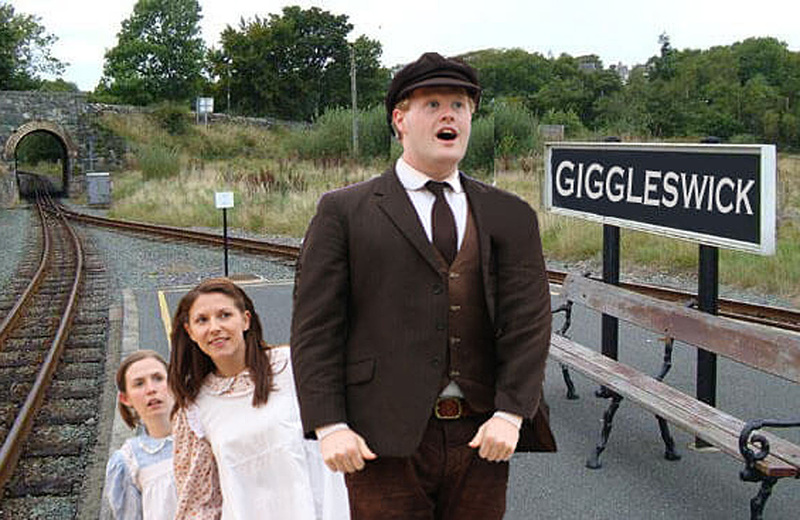 Gather around Bobbie, Peter and Phyllis on platform one as they pass the time by sharing the classic tale of The Railway Children. Living by the railway line, the children spend quite a bit of time watching the trains and making some unexpected friendships. There is the old gentleman who regularly takes the 9.15 train and helps them solve the mystery of what happened to their father, and the Russian immigrant who teaches them that compassion and understanding cross all boundaries.